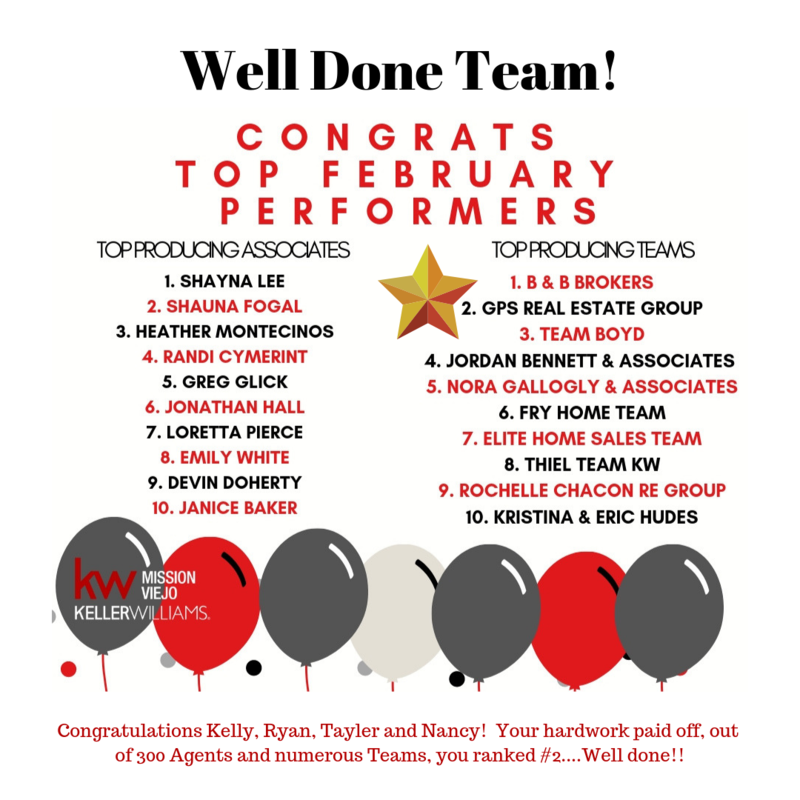 Congratulations to our group on their successful start to 2019! Out of over 300 agents at Keller Williams Mission Viejo you ranked 2nd in Sales Volume. Well done! !